Tiruvannamalai attracts both spiritual seekers and teachers. This page shows articles on teachers and their teachings. This is not an exhaustive catalog by any means, but rather shows some of these teachers, usually ones with which we have had some experience. Articles are from several sources. These include richardarunachala, luthar.com, arunachalagrace and wikipedia. Website links are also provided. This is an important article by Alan Jacobs that describes the teaching methods of some present day teachers who follow in the footsteps of Bhagavan Sri Ramana Maharshi. This article sheds light on important aspects of these teachings, called by some, “Neo Advaita,” to differentiate it from the pure Advaita teachings of Ramana. This should be read by all who are interested in the teachings of Ramana Maharshi and Advaita Vedanta. In Tiruvannamalai, Bhagavan Sri Ramana Maharshi continues to draw people from all over the world. Ramanasramam is visited by hundred of people each day, thousands on major occasions. Ramanasramam continues to feed hundreds each day, and is one of the best run ashrams in India. Rooms are available for devotees. 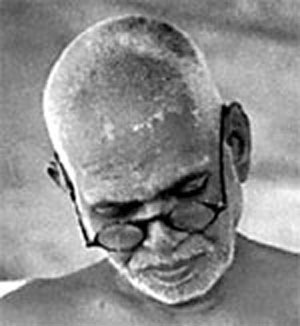 There is a wealth of information about Sri Ramana and Ramanasramam on the web. Here are some of the best. Nome is my spiritual teacher. I have attended satsang and other teaching events with Nome since 1990. We visited India with Nome in 2005. It was then that we decided to move to Tiruvannamalai. Nome is,we think, the clearest, the most eloquent teacher of Sri Ramana’s Self-inquiry. While Nome does not offer satsang in Tiruvannamalai directly, we play audios of his teaching at our house each week to interested seekers. SAT Website SAT, in Santa Cruz, CA, is where Nome offers satsang and other spiritual teaching events. Satsang with Nome: What do you consider yourself to be? Inquiry for walking Arunachala – When I move, what within me is motionless? 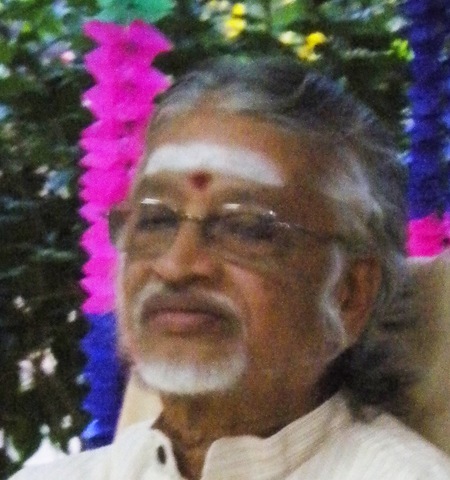 V Ganesan is one of three living grand nephews of Sri Ramana Maharshi. He has dedicated himself to spiritual practice and teaching. He offers satsangs sometimes in Tiruvannamalai, only he does not call it satsang, rather he calls it ‘sharing.’ It is important to Ganesan that he not put himself above others. He says that Ramana never did. Sharing is between people, not sometime given from on high. Sharings with Ganesan offers deep teaching, interspersed with stories of Ramana and devotees. We find them most special. He is a gentle man, humble and warm. Ganesh spent years locating everyone he could who had deep experiences with Ramana, and encouraging them to tell their stories. Many books and articles resulted from this work. These experiences light up his sharing. Mooji offers satsang in Tiruvannamalai for a few weeks each winter. These are, by far, the best attended satsangs in Tiruvannamalai with 200 – 300 people sitting in the rooftop satsang space each day. 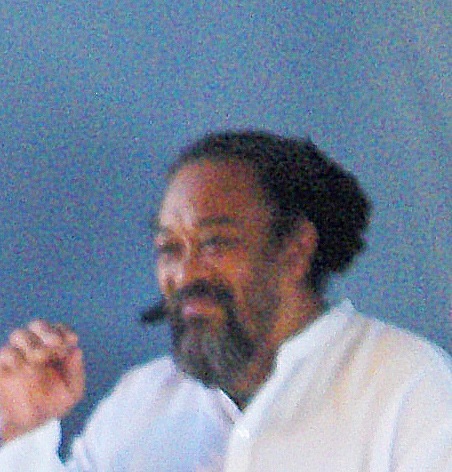 Mooji relates with a warmth that attracts people. The satsangs are questions and answers, no discourses. What some people like the best about Mooji are his morning walks and impromptu satsangs along the way. Nannagaru is from Andra Pradesh. He visits Tiruvannamalai several times each year, accompanied by devotees from Andra. He has an ashram here, and when here is available for silent satsang each day. People come and sit with him to meditate and to be in his presence. Usually these are silent, sometimes there are questions, but these often are in Telegu. Upon leaving, he may notice you and have a few words with you. Some have had deep experiences with Nannagaru. I found sitting and meditating with him to be very good – quiet and peaceful. Nannagaru website. This includes the travel schedule. 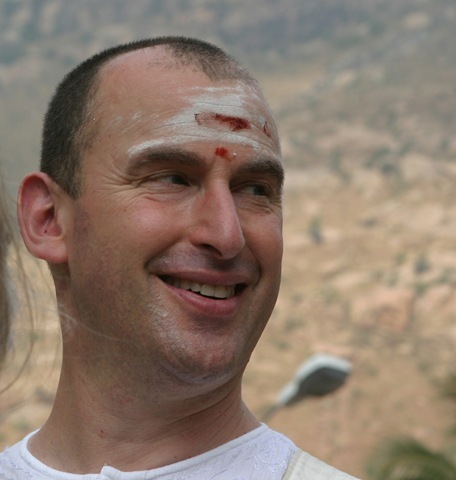 A Ramana founded AHAM, in North Carolina, and also has an ashram in Tiruvannamalai. Satsang and instruction in Self-Inquiry are offered. 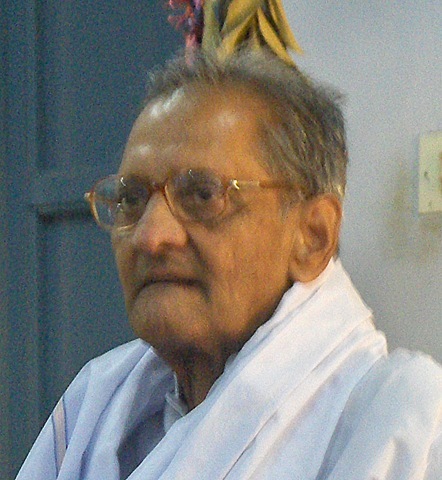 A Ramana taught at both locations until his mahasamadhi in 2010. Instruction in Self-inquiry continues. Papaji is an influential teacher, who found Self-realization in dialogs with Ramana Maharshi. Video satsangs are offered weekly in Tiruvannamalai. Sri Sathya Sai Baba is a guru famous within India and internationally, with his main ashram in Karnataka, about 200 km northwest of Tiruvannamalai. There are a number of Sathya Sai Baba devotees in Tiruvannamalai. Often they are involved with ‘good works’ projects. The ashram in Puttaparthi is a popular destination for those visiting Tiruvannamalai. Some see him as a saint who offers boons to devotees, some see him as a controversial figure. Swami Suddhananda is a teacher of Advaita Vedanta who started teaching in 1982, and now has a global presence. He has an ashram in Adi Annamalai Village in Tiruvannamalai where he sometimes resides and teaches. Accommodations are available at this ashram. This entry was posted on June 10, 2010 at 7:44 am and is filed under Ramana Maharshi, satsang, Spirituality, Tiruvannamalai. You can follow any responses to this entry through the RSS 2.0 feed. You can leave a response, or trackback from your own site. Arunachala’s grace is always here. Always. Bhagawan Sri Ramana Maharshi is like a divine star emitting sacred light. I have not taken the star aspect i.e his body as the significant thing but rather try to understand the light he emits continuously even now after leaving his body. I am not interested in getting caught in the mere illusion, the maya of words, but look behind the words. grasp the full significance of what he says, not the mere superficial meaning of words.Such people appear on earth probably once in 5000 years. Yes, I agree! Bhagavan Sri Ramana Maharshi is a devine star, shining with sacred light. He then tells us to look within, to the guru within, to the sacred light within, which is WHO WE ARE. This is the inner meaning of “Who am I?” As to how often, He is beyond time.